Serving Thornhill, Vaughan, North York, and Maple for over 20 years. Could Laser Therapy in Maple Help You? Once people get a certain age, there can be this perception of fatigue and helplessness. However, when you keep seniors active, you encourage them to continue living life to the best of their abilities. Being active is essential, not just for the body but for the mind as well. 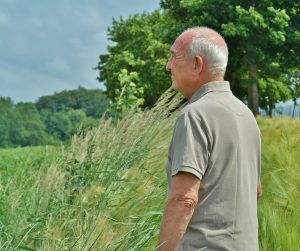 These are three simple ways to keep seniors active and to enjoy their time. If you’ve ever spent time in your garden, you’ll realize that it can actually be a lot of work. Gardening is perfect for seniors because it is an enjoyable, low-pressure activity. There is a real satisfaction of ridding your garden of weeds and being able to see flowers bloom. Gardening can be as slow of an activity as needed, so there’s no pressure to finish in a certain time. Seniors can take their time, stop for breaks, and return as needed. There are a few precautions that seniors should take while gardening. A foam pad is recommended to kneel on instead of bending over which can place a lot of strain on the back. Water is also important, especially in the hot summer months. If possible, it’s best to garden in the early hours of the day, before the sun becomes too strong. However, as long as these basic precautions are taken, gardening is a great way to keep seniors active. 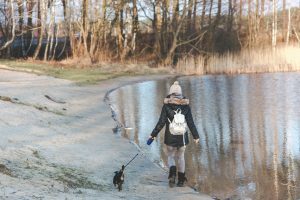 Walking is the perfect exercise for people of all ages. Not only do you get to move outside, but the slower pace allows for socialization. There are often walking clubs in local communities that seniors can sign up for. Alternately, call up some friends and make a point of getting together regularly. Seniors can plan their own route or make a coffee shop their final destination. And, if the weather isn’t cooperating, most malls will open their main doors to provide a safe space for walking groups to enjoy. Alternately, if any seniors have knee issues, they may want to check out the local track ring as the surface is a bit more cushiony. As with gardening, it’s recommended to walk in the earlier hours of summer months. And if going on longer walks, be sure to keep hydrated. Finally, investing in a decent pair of walking shoes will help keep the entire body supported. Watching children is a lot of fun, but a lot of work as well. For those that are interested and able, babysitting is a great way to keep seniors active. Now, babysitting shouldn’t be for a long time, depending on the person, but even short bursts of interactions with small children should be encouraged. Whether it’s playing blocks or even a fun game of hide and seek, there is a lot that seniors can do with children. The natural energy of children is infectious and without even knowing it, a lot of movement happens. Sports injuries happen all the time. But instead of shrugging them off, or trying to play through the pain, it’s important to treat them so that your body can perform at 100%. Repetitive strains won’t help you in the future. 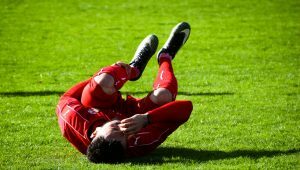 If you suffer from a sports injury, your physician will perform a thorough exam and then work with you to create a comprehensive treatment plan. Here are three common types of therapies that are used to treat sports injuries. Massage therapy gets right in and works to stimulate the muscles. Blood flow is incredibly important and massage therapy, especially deep tissue massage, works to bring the muscle back to top performance. All of your body is connected and if a specific muscle is under strain then the rest of the body will overcompensate for it. This can actually lead to more injuries. Massage therapy for sports injuries is different than the type of massage you will receive at a spa. While a spa will be a bit lighter and works to relax you, massage therapy for sports injuries is a form of physical treatment. It will get a little bit deeper and a course of treatments will most often be prescribed. Laser therapy is a great, innovative treatment option. It requires no cutting and is virtually painless. Infrared light is used to target the affected muscles. This light is then able to stimulate blood flow to the area. Laser therapy has really come into its own in the last few years and is becoming an increasingly used form of therapy. Laser therapy may seem invasive, but it is quite the opposite. It is painless and effective and definitely a worthy option. This technology works to stimulate the mitochondria in cells and in turn heal them. Laser therapy works on a molecular level and it can be hard to see what is really happening. But even after just a few sessions, you will start to see an improvement. As for physiotherapy, this form of treatment can really help sports injuries. Often, rehabilitation from sports injuries requires a series of exercises. Your physiotherapist will help you with these exercises during a treatment session, but then you will have to perform them on your own to really re-build your muscles. Other parts of physiotherapy can include massage and hot and cold treatments. Instead of invasive surgeries that have very long recovery times, physiotherapy can create improvements and have you quickly back on your feet. The number of sessions needed will be entirely based on your sports injury. Often sessions will start out weekly and then will become less frequent as your body starts to heal itself. Those in need of rehabilitation after an accident will want to understand all of their options. The first part of any sort of treatment is a full body assessment which will then result in a treatment plan. It’s important to work with various methods to treat an injury. Your body is a complex organism and so complex treatment plans are needed. One aspect of rehab can be acupuncture. You’ve probably seen images of people being poked with needles, but maybe aren’t too familiar with the practice. Here are some interesting ways that acupuncture can help with rehab. Your body is capable of immense power, and this extends to healing itself. If you’ve ever cut yourself you’ll know that with a bit of time, your body will naturally heal this wound. This belief is central to the practice of acupuncture. Acupuncture hails from Traditional Chinese Medicine, TCM, but has been adapted by many western doctors. It works to reduce natural hormones, such as endorphins and serotonin, which help the body to not only feel relief from pain, but to better relax itself. Once the body can focus on healing, that is what it will do. If you’ve played a sport, most likely you’ve suffered a sprain or a strain. The go-to response is to rest your body, maybe ice the injured spot, keep any affected limbs elevated, and compress the area. While this will all work in time, another treatment prong can involve acupuncture. When you undergo an acupuncture treatment, you can reduce the swelling and inflammation of the area. Furthermore, white blood cells are actually attracted to the injured area, and these cells help to speed of the rate of healing. If you are using acupuncture to help with minor injuries, expect to book a few sessions within a matter of weeks. You will most likely not need too many sessions, but your specialist will help decide a treatment plan. While acupuncture can most definitely treat minor injuries, what about major issues? Thankfully, this traditional form of medicine can be effective. While major incidents, such as car crash can do a lot of damage on your body, the good news is that your body can heal itself. Acupuncture should not be the only course of treatment, but it can be effective when used in conjunction with other services. Again, because acupuncture can increase hormone levels of dopamine and serotonin, your body will begin to feel better faster. This will allow for physical therapy to take place, and for your body to heal itself faster. If you have been involved in a serious accident and are prescribed acupuncture, you can expect a longer period of sessions. The road to recovery can be a long one, so it’s important to keep working hard and thinking positively. What Conditions Can Laser Therapy Treat? One of the greatest modern medical advances has been in the field of laser therapy. While so many injuries happen below the surface of your skin, it can be hard to actively treat them without surgery. And with surgery comes a whole host of issues, including long recovery time and possible infection. Thankfully, laser therapy is non-invasive, completely topical, and most importantly effective. Here are a few common conditions that laser therapy can treat. If you suffer from one of them, be sure to contact a professional for advice on the matter. The soft tissues in your body include muscles, ligaments, and tendons. It is very common to have a soft tissue injury, especially if you play a sport. Rolled ankles, sprained wrists, bruises, happen quite frequently. However, just because they are common does not mean that you can’t actively treat them. Thankfully, a few treatments of laser therapy will greatly help in healing soft tissue injuries. The laser light that is used increases the amount of oxygen and glucose to the offended tissues. Both are needed for healing to happen. There’s no need to suffer in silence from a soft tissue injury anymore. If you find yourself frequently reaching for the acetaminophen, or are triggered by a migraine by a random bright light, it’s time to look for an alternative to suffering. Often, restrictive blood vessels cause headaches. Essentially, not enough oxygen-rich blood is getting to where it needs to be. Laser therapy increases blood flow and allows oxygen to move more freely. Laser therapy can also help promote the release of the hormone serotonin. The more serotonin you have in your body, the happier you will naturally feel. Increased serotonin can negate anxiety and stress, relieving you of headache symptoms. One other benefit of laser therapy is that it can increase the release of endogenous opioids. These are the body’s natural way of lessening pain. The less pain that you have, the much better your life will be. There is now an increasing awareness of the detriment of painkillers. As a result, more patients and doctors are looking to alternative methods of pain relief. If you suffer from either acute or chronic pain, laser therapy can help to block the pain symptoms so that you can attempt rehab exercises to heal your body. The most important aspect to remember about laser therapy is that it works. If you suffer from one of the conditions on this list, or from another illness, be sure to as your medical care provider about laser therapy. Chances are, it may be what you need. Whether you’re an athlete or just someone who wants to stay limber, stretching is a great way to keep your body moving. It’s also key as a preventative measure, should an accident occur. The more flexible your body is, the more it is able to withstand the day to day impacts that are thrown its way. If you’re not sure what the best leg stretches are to do, we can help. The muscles above your knee, at the back of your leg, are your hamstrings. These are the powerhouse of your body. Without strong, flexible hamstrings, it can be hard to walk or carry items. To perform a hamstring stretch, begin by placing your knees on the floor. Then, stretch one leg out in front and place it between your hands. Your arms should be shoulder-length apart. Hold the stretch for 30 seconds and then switch sides. Our hips get used a lot, but they are often overlooked when it comes to stretching. But, for better balance and core strength, it’s important to open up the hips. Start in a lunge position where one leg is at a right angle and the other leg is stretched out. Then, lift your leg up so only your toes are touching the floor. Gently twist your body so that it is open in the opposite direction. Keep one hand on the ground and lift the other hand towards the ceiling Hold for 30 seconds and make sure your core is engaged. This is one of the best leg stretches because it engages your leg muscles, core, and back, all at the same time. Start by sitting on the ground and bring your feet together. Gently lean forward so that your chest comes down to touch your feet, or as close as you can. Your back should be straight, and you should be able to feel your ab muscles tighten. Take a breath and shake out your legs before completing the stretch for a second time. Place your legs shoulder-width apart and stand up straight. Then, bend over at the waist and lower your head to the ground. Your shoulders and neck should be relaxed but continue to bend over as far as possible. Pause and hang for 30 seconds, allowing gravity to work with you. Slowly bend your knees and gently return to a standing position. At the end, you should feel not only stretched out, but also a bit more energized thanks to the increase in blood flow. Taking its name from a yoga pose, this is a great leg stretch that helps to loosen hip joints. Lie on your back on the floor. Bend your knees and place your feet flat on the ground. Then, take one leg, still bent, and bring it over to rest on the other knee. Hold on to this leg and gently pull your leg into your chest until you can feel the muscles tighten. Hold for 30 seconds and repeat with the other leg. Running is a great workout to engage in. Not only does it get your body moving and burn a lot of calories, but it is a relatively simple workout that is very low cost. There are very few barriers to running. No matter what your physical fitness level is, you can start running at any speed for any distance. As you get into the sport, you’ll want to start running faster and longer. Enjoy these simple tips to help you reach your goal of running longer and faster. 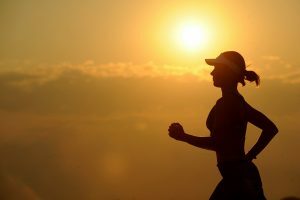 When most people think of running, they imagine a long stretch of a path and tiredly running along it at the same pace. While this is the goal, to reach it, you need to vary your training. Speed interval training involves alternating between a very fast run and a recovery run. For example, run as fast as you can for 20 to 50 meters. Then, slow down to a lighter jog. After you have recovered your breath, sprint for another 20 to 50 meters. Repeat for your workout. When you start interval training, you might not be able to run very fast or for very long during your sprinting times. However, if you keep going, you will start to notice both an increase in your speed and in your stamina. By training your muscles to learn how to spring, it will strengthen them so that they can withstand much longer distances. The key to running longer and faster is practice, practice, practice. This is where having an end goal comes in handy as it provides you with a schedule to keep. If your goal is to run a 10 kilometer race, you can start backwards. Each week you should be adding on 1 kilometer to your longest run. So, if you are an absolute beginner, start 10 weeks before your race day with just a 1 kilometer run. Then, each week tack on an extra kilometer. If you find running quite difficult, you might want to look at it in terms of time. Start by trying to run for 1 or 2 minute stretches, followed by walking to recover. Then, the next session, try to increase your run time to 2 or 3 minute stretches, and so on. This is a bit like interval training, although not as intense. To really get into the groove of running longer and faster, you need to develop your leg muscles. Pick at least one day a week where you work on strength training. This can involve leg muscle machines at the gym, or similar exercises at home. Easy stretches such as lunges and squats can even be done for short sessions in your free time. The point is to build up your leg muscles so that they can withstand the wear and tear of running faster and longer. And afterwards, go for a soothing massage to work out the tension in your muscles. Getting back to where you used to be after an injury can be hard work. Physically, you just don’t have the strength or endurance. And mentally, it can be frustrating to know that so much hard work will be involved. Thankfully there are many tools that can get you back to where you want to be. Swimming can help with rehab and should be used when possible. You’ve probably familiar with the adage that swimming is a low-impact activity. But what does this really mean? Basically, swimming allows you to be active and get your body moving, without putting additional stain on your muscles and joints. After an injury, it’s important to get your body moving so that your muscles are able to stretch and heal themselves. But even simple exercises such as walking can still put too much strain on your body. Swimming can help with rehab because you can keep your whole body active. You don’t have to worry about strains on your joints or muscles and you can have a better range of motions. If you have a foot or leg injury, it can be hard to exercise it. But, it’s important to keep it stretched and flexible so that your muscles can move and heal. Once you’re in the water, the weight is taken off of a foot. You can then move it without worrying about additional pain. The same goes for back injuries. Once you are in the water you are weightless. Pressure is instantly relieved from your injured spot. As a result, you can move better and help to strengthen your body. Just be careful as too much movement can be felt at a later date through strains. If you don’t use your muscles, you will start to lose them. After an injury it’s important to rest. But if you rest too long, the road to recovery can be longer than necessary. This is why swimming can help with rehab. Once you enter the pool, you give your body a much needed opportunity to move. You can slowly stretch your muscles and allow them the opportunity to work again. Start with gentle stretches to keep muscles loose and flexible. You can them work up to a more vigorous routine. After an injury you will want to take things slow. However, once your doctor has signed off on more activity, swimming is a great way to stay in shape. There are many water aerobic exercise classes that can help you stay active and keep fit. Even if you have an injury, swimming can allow you to moderate your movements and still get a good workout in. Recovering after an injury is as much about physical shape as it is mental fitness. The more your move, the more energy you will have. Your mood will lift, and you will become more motivated to reach your rehab goals. Swimming can help with rehab because it can give you a sense of purpose. It can allow you to feel like yourself again. We’ve all been there. Stretching dutifully before a workout. Wondering if this is actually going to help or not. But, not knowing an alternative, we keep doing them. Well, as research into athletics becomes more in-depth, the science behind stretches has evolved. Stretches fall into two main categories: static and dynamic. Static stretches are what we’re primarily used to. Staying still while stretching individual parts of our body and holding for a few seconds. Dynamic stretches help move joints so that they can go through their full range of motions. Both types of stretching have their place, but if you want to focus on getting ready for a workout, be sure to incorporate dynamic stretching into your routine. Lunges help to target your legs, glutes, and your core. Start by standing tall and place your feet shoulder-length apart. Lift your chest and put your shoulders back. Then, step forward with your right foot and lower your body until your right thigh is parallel to the floor. Both knees should be bent at 90 degree angles. After holding for a few seconds, bring your left food forward into a standing position. Repeat with the opposite leg. You can keep doing a row of lunges. Opening up your hip flexers is a great way to increase flexibility. This is a nice and simple dynamic stretch. Stand up with your legs shoulder-length apart. Place your hands on your hips. Then, move your hips making a clockwise circle. You can start with small circles and increase to larger circles. Move in one direction for 30 seconds and then repeat in the opposite direction. To help get your legs warmed up, this is a great, flexible stretch. It targets your hamstrings and glutes, while also working your hip muscles and joints. Stand up and extend your arms out from your side to keep your balance. If you struggle with balance, you can also hold on to a wall or chair with one arm. Raise your right leg to your side and then swing it back and forth in front of your body. Be sure to lift your chest and engage your core. Your back should also be straight. Swing your leg for 30 seconds before alternating to the other leg. You can swing each leg from side to side and then switch to back to front for a whole range of motions. Shoulders are often forgotten about in stretching. But not only is important to warm them up for any arm movements, by relaxing our shoulders we can also eliminate tension caused by daily stresses. Start with your feet apart and your shoulders relaxed with your arms by your side. Then, slowly move your shoulders in a circle. Continue for 30 seconds before switching directions. This is actually a great stretch to do any time of the day. Bears hibernate in winter, and humans are often sorely tempted to do so as well. Instead of settling into the couch, though, do your best to keep fit in the winter. Here are some easy ways to keep moving, even when it’s freezing outside. It’s surprising just how many free outdoor clubs there are that you can join, even in the winter. Groups like the November Project are free to join and meet weekly, usually in the morning. All ages and abilities are welcome, so you don’t need to feel self conscious about anything. What’s best is that if you work out with a group, it helps to really motivate yourself. The energy is contagious and will help you power through the frozen weather. If you can clear a bit of space in a garage, basement, or rec room, try to set up a space that lets you move in the comfort of a heated area. You don’t actually need a lot of room for a proper exercise routine. Even 10 feet by 10 feet is plenty to move. Look online for exercise videos that will motivate you and set up a TV or computer screen to follow along with. Then, set aside 30 minutes every day to work out. Whether it’s early in the morning or after work, be sure to take this time for yourself to boost your energy and keep fit. It can be hard to find fresh produce in the winter and fruit and vegetables that are available can be very expensive. As a result, eating healthy can be hard in winter. However, if you want to keep fit, you need to have a balanced diet to fill you with enough energy to keep moving. Look for frozen vegetables as these are still nutritious but often cheaper than fresh items in the winter. Beans and lentils are a great source of protein and are also part of comforting recipes. We often overindulge over Christmas, and December is a good time to get back on track. Strive for balance, though. If you cut out all the treats in your diet, you aren’t going to stick to it. Instead, meal plan and track your food so that all food groups are included. Food diaries are an easy way to see just what you are consuming and help you to see patterns about your food choices. Springtime is full of running races, so sign up for one in the winter so that you have a goal to work towards. Whether it’s 5 kilometers, 10 kilometers, a half marathon, or even a full marathon, find a race that has an inspiring location and sign up for it. By committing yourself, you feel obligated to keep fit. Work backwards from your goal so that you know just what type of training is involved. There are many sample running and workout schedules that will help you determine what weekly targets you need to reach to be able to meet your end goal. Chances are you have a friend that regularly visits the chiropractor. Or maybe you’ve complained about a sore back, only to have a co-worked suggest seeing a chiropractor. You vaguely know what this medicine is about but haven’t yet figured out just what a chiropractor does. Well, you’re at the right place now. Let’s start at the end. Or rather, the end results of visiting a chiropractor. For starters, you can expect improved movement and posture in your back, torso, shoulders, and neck. 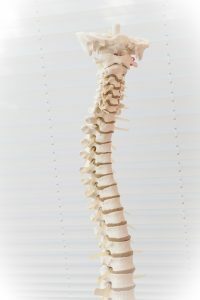 Usually, a bad back can wreak havoc on other parts of the body, so a chiropractor will work in conjunction with these areas to make sure they are all working properly together. The symptoms of headaches may manifest in your head, but the cause could actually be coming from a different place. 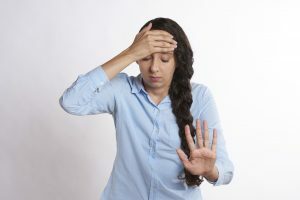 Neck and back pain may cause headaches, and after seeing a chiropractor, you will hopefully see some relief from the annoyance and pain of headaches. For athletes, keeping a body well-tuned and properly aligned is key. Chiropractors can help with athletic performance by strengthening your spinal alignment. Motions become more fluid and your muscles don’t have to work so hard to compensate poor movements. The same goes with flexibility. If you have tight muscles or a back that isn’t sitting right, it can be too difficult to achieve proper flexibility. Thankfully, a few sessions with a chiropractor can help set your body straight and help with future yoga poses. If you work in a physically-demanding job, it may be a good idea to visit a chiropractor before any injuries or stress begin to happen. Prevention is often overlooked because if there is no problem, it can seem like a time waster to seek help. But professionals such as chiropractors can ensure that major problems don’t happen. It’s far better to have a few regularly scheduled appointments with a chiropractor than to seek major medical help after a workplace injury or sprain. Chiropractors, like all medically trained professionals, won’t just jump in and start working on you. Instead, they will execute a series of tests and analyses to see just what is going on with your body. They want to have the proper diagnosis first. Then, they will consult with you to make sure you fully understand what is happening. It is, after all, your body. Finally, a treatment plan will be discussed. This will include the number of sessions that are recommended and their length. Throughout the treatment plan, which will include a series of spinal adjustments, you will still have a say in your own health. If treatments become too intense, speak up and your chiropractor will listen to you. Remember that this is your body and your health, so be sure to take ownership of it. Active Care Health Services Inc. The Active Care Health Services clinic in Thornhill has long been known for excellent physical therapy and rehabilitation services. Our integrated physical therapy programs treat sprains, strains, muscle spasms, arthritis, post-surgical cases and other physical health issues. Physical therapy and rehabilitation helps a patient to build strength, flexibility and endurance. Our services include massage therapy, physiotherapy, laser therapy and accident rehab in Thornhill.